I should have known watching Twister with Helen Hunt and Bill Paxton yesterday morning would lead to a poem. That movie is all destruction and heart. People running around, things flying. Skidding semis, sign sparks. Paxton and Hunt fighting being in love. Twisters have been on my mind anway. I recently read two poems by Rochelle Hurt in Crab Orchard Review, One, particularly, dealt with the myth of infants being picked up by a tornado and dropped down, unharmed, miles away. Sometimes a poem just touches me and I feel like I’ve found some sort of kindred spirit and all I want to do is devour more and more of their work (here are also several more of her poems up at Superstition Review) and Ms. Hurt’s was just like that. She also wrote a poem two pages long. I don’t know why that is something that seems like a goal to me, but I’m stuck in a place of one page long poems, and the idea of spreading to a second page sounds…spacious. 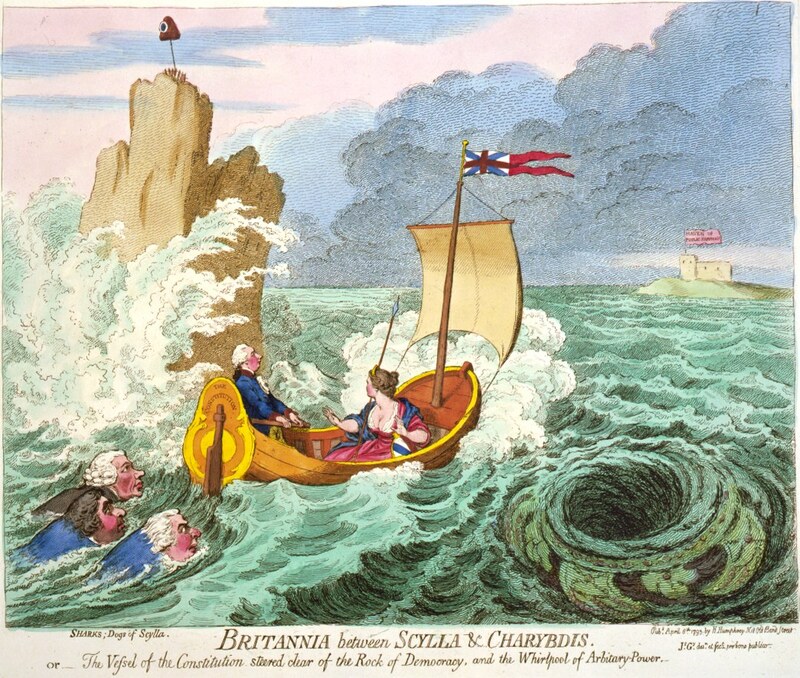 Keeping with my tendency to write about myths, I thought of Charybdis. Charybdis was the daughter of Posiedon and Gaia (which technically means that her great-grandmother is also her mother) and was so gluttonous that she stole cattle from Hercules. Zeus punished her by turning her into a whirlpool that threatened ships as they passed. When I was looking into the myth, I found that there is actually a whirlpool that exists in the location of the mythic one. It’s just not large enough to devour ships. Right now it’s two nine line stanzas, and each function primarily with lists. In the second stanza, it’s what she desires after she’s been turned into Charybdis and what she desires is much more devastating. I hit an impasse around the 8th line of the second stanza. I wanted each stanza to be nine lines long, and I wanted a good wrap-up line, so I took to looking up quotes about need and desire to see if something would strike me. Hi Tara: I just stumbled upon this post, and I wanted to say thanks for your kind words about my work. Your drafting exercises seem really great!